As the year come to its close the taller flowers have been removed from the wild garden and the Goat Willow has been pruned at its base. 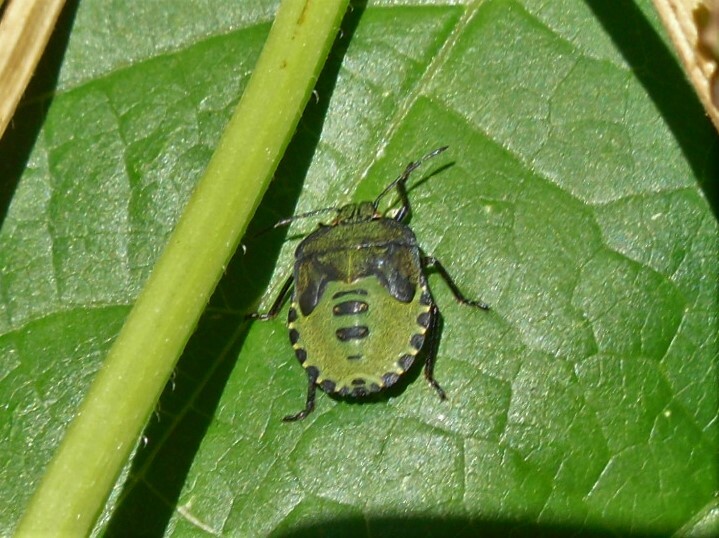 Two shieldbug species have been found on site. 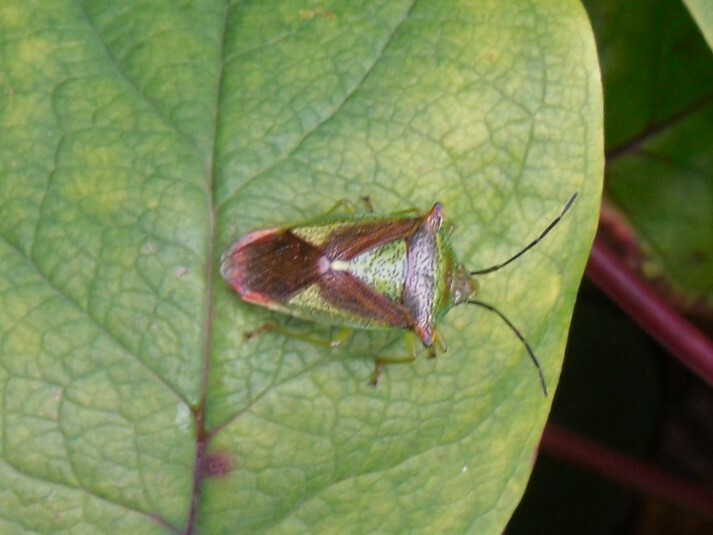 The Common Green Shieldbug, which can be found on a variety of plants, and the Hawthorn Shieldbug, which as its name suggests is found with Hawthorn trees. 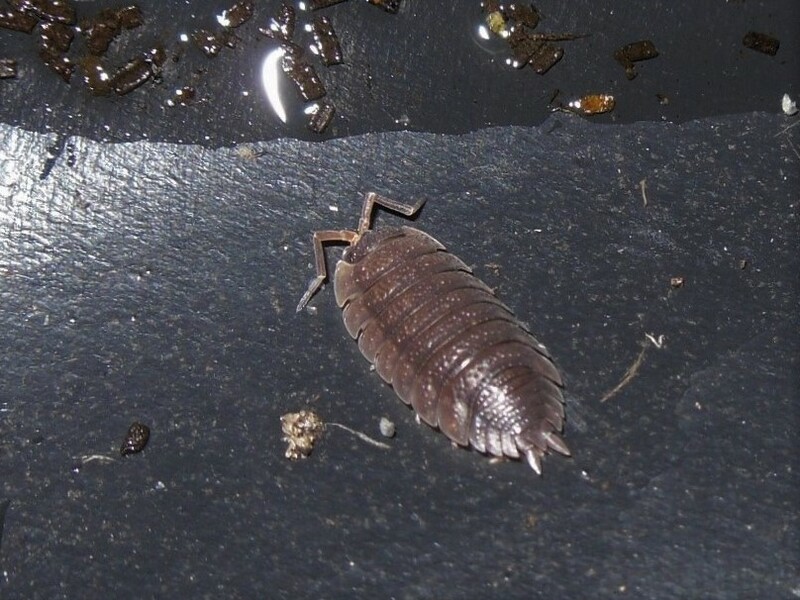 Photos of these can be seen below. 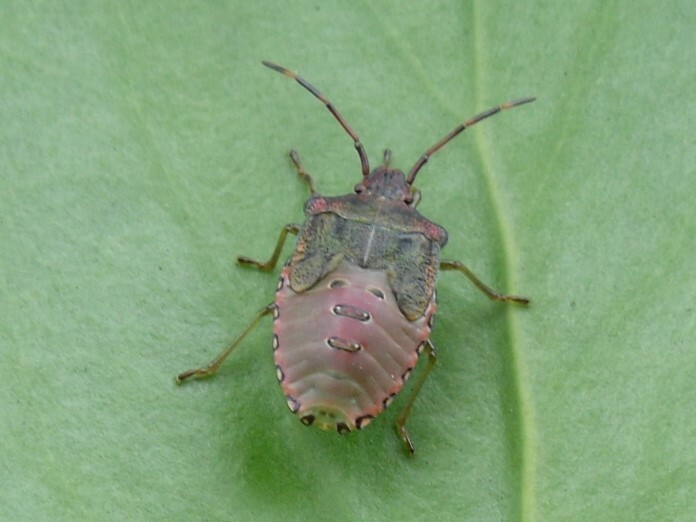 Both shieldbugs go through five nymph stages (instar) before becoming a fully grown adult. The Cuckoo-spit bug (Philaenus spumarius) can also be found all over the site. 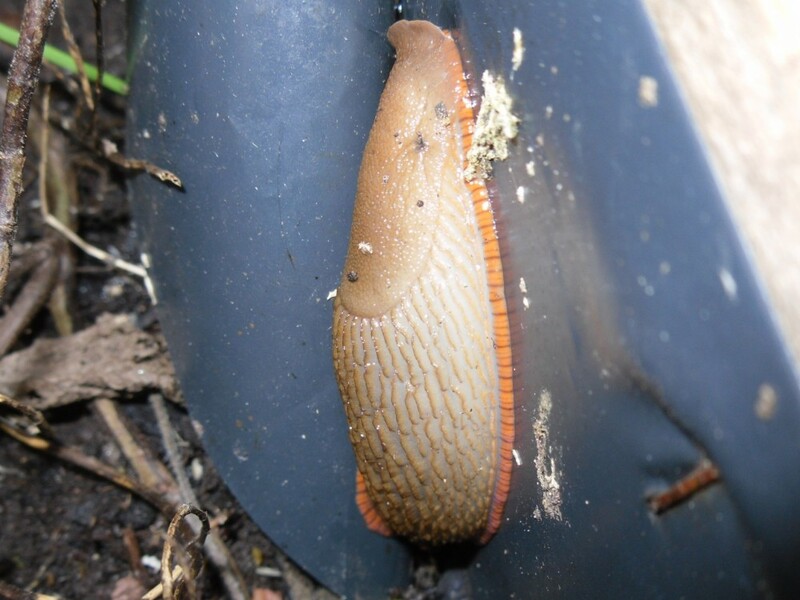 The compost bin has proved a to be a haunt of slugs, snails, worms and woodlice. 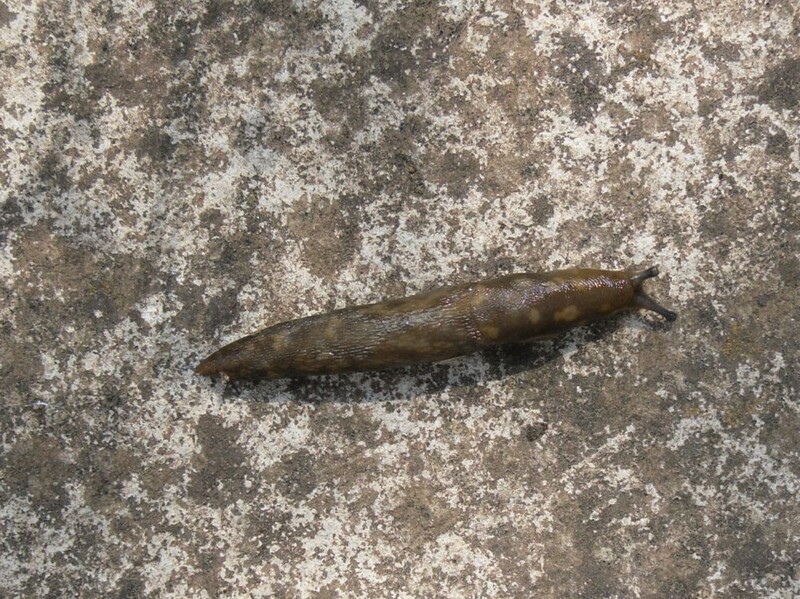 I have entered my sightings on the iRecord website to get them verified, but I am having difficulty with the slugs and worms. 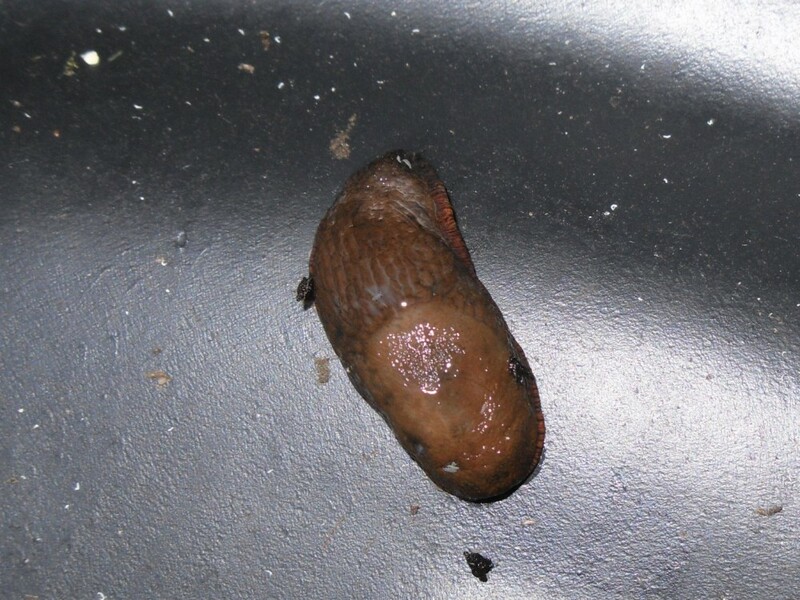 The Black Slug belongs to a species complex that can only be differentiated by dissecting the genitalia, so it is usual to record them as Arion ater agg. A distinguishing feature is the foot fringe which is often coloured orange. The Brown and Orange form have been found on site. 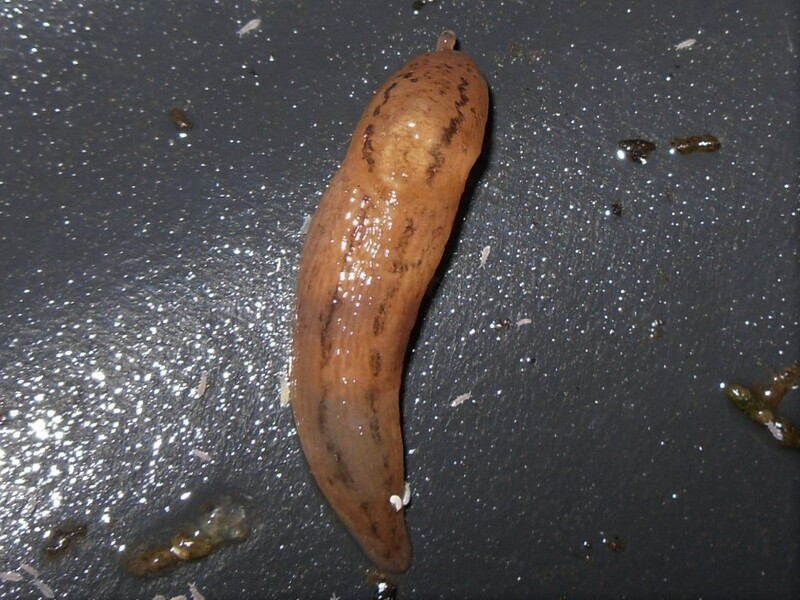 Other slugs include the Iberian Threeband Slug and the Green Cellar Slug. 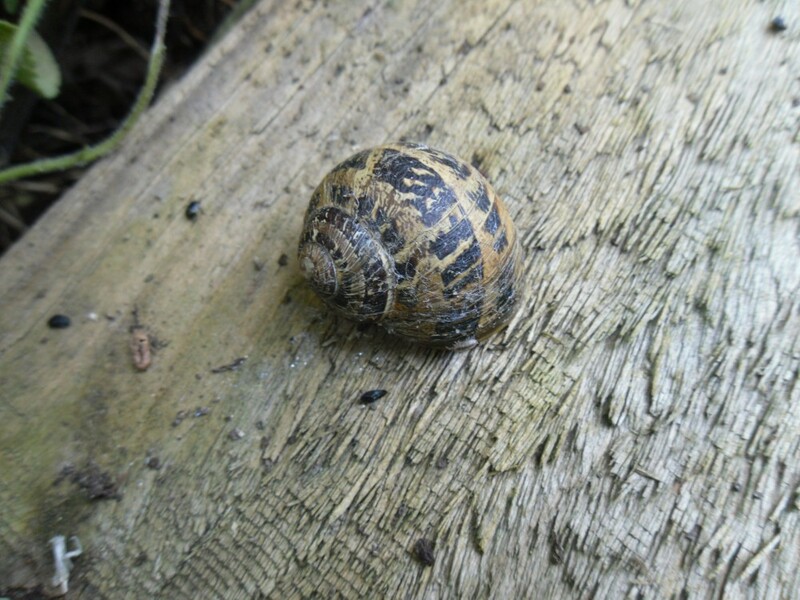 The Brown Lipped and Common Garden Snail have been found in the vegetable plots. After the demonstration of beekeeping at the Eco Garden Open Day sightings of the Honey Bee and Buff Tailed Bumble Bee have been recorded and verified.